This was once written by George Fontes and he sent it to me to include it in the shogun repair site. Someone copied this recently and uploaded it on youpublisher which coverts pdf documents into publications with flipping pages! So now you can read all the 60 plus pages like a book. This very informative guide demonstrates the entire process of removing and reinstalling your intake and valve cover gaskets. Thanks for posting Erich! That is a very valuable and informative piece of work. This might be also of interest for the M70/M72 owners. 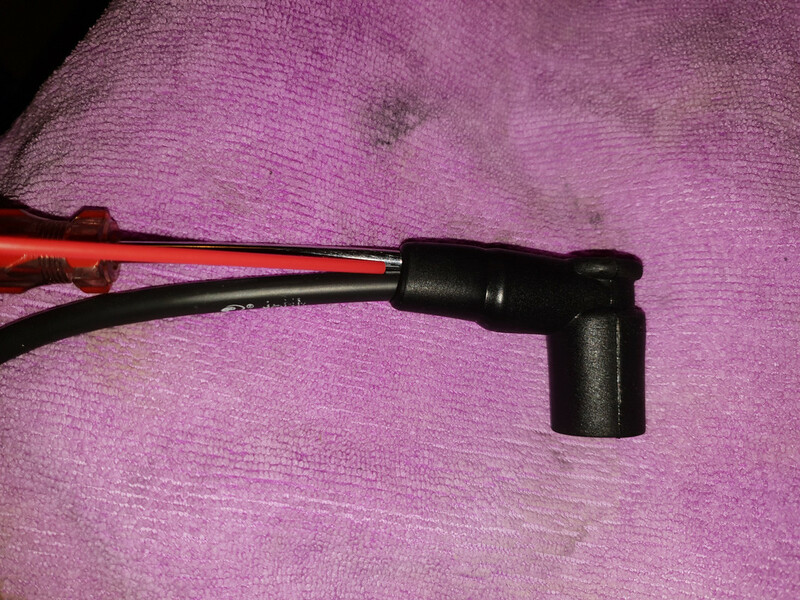 How to: install the donuts and the importance of donut direction on aftermarket ignition wires (I am also selling them) and where the boot to the distributor side has a socalled woodscrew connection instead of the crimped connections on the original Bosch and Bremi, someone made this write-up for me. Here's a quick & simple write up with pictures for installing cylinder identification sensors aka donuts on wires #6 and #12. 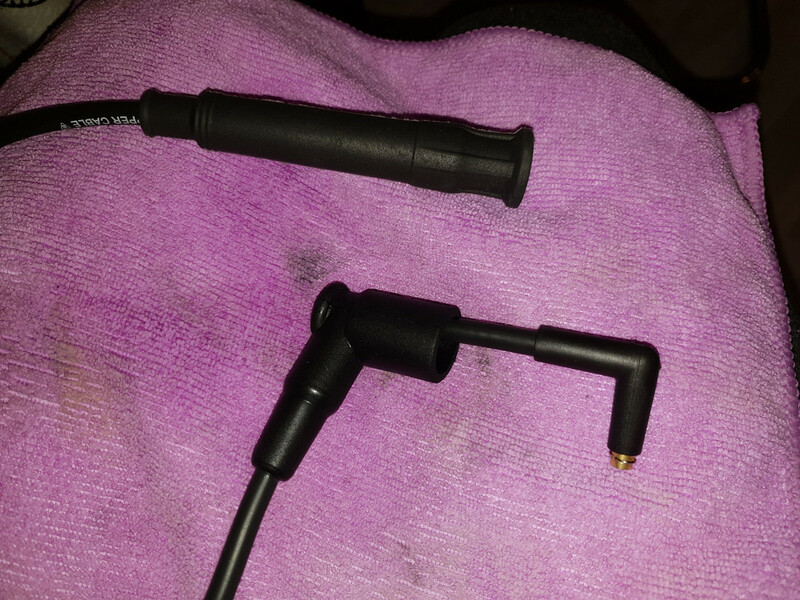 These wires are identified by comparing length with the rest of the wires, them being the longest ones obviously. On the distributor boot end of the wire, get a slim flat blade screwdriver and slide it between the rubber boot and the wire. Use a lubricant of your preference, in my case WD-40, and spray it liberally. Follow up with more lubricant into the boot opening. Work it in and you should be able to simply slide over the rubber boot towards the inner part of the wire like this. Hold the wire and push on the boot, don't pull on the cable. Use more lubricant if necessary as you don't want to pull on the wire and stretch it. 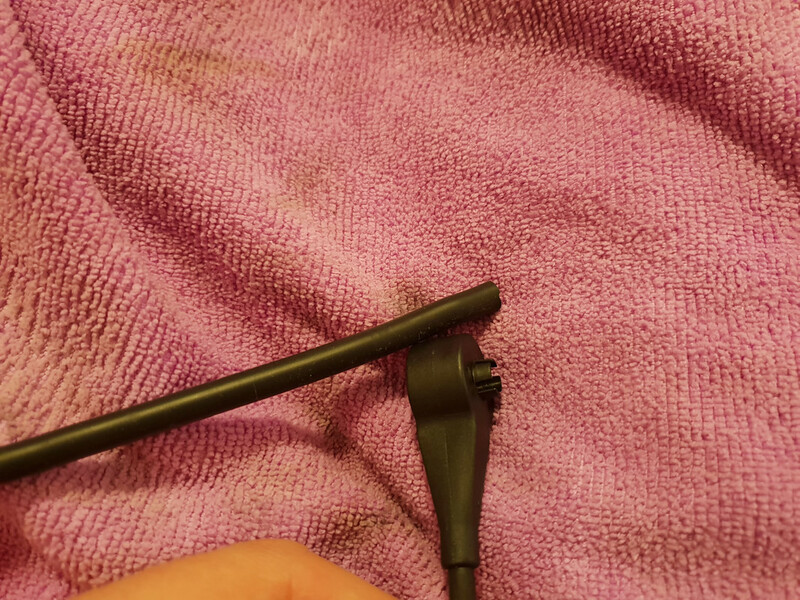 Grab and hold the wire with a microfiber cloth (for better grip) and start unscrewing the plug in anti-clockwise direction. 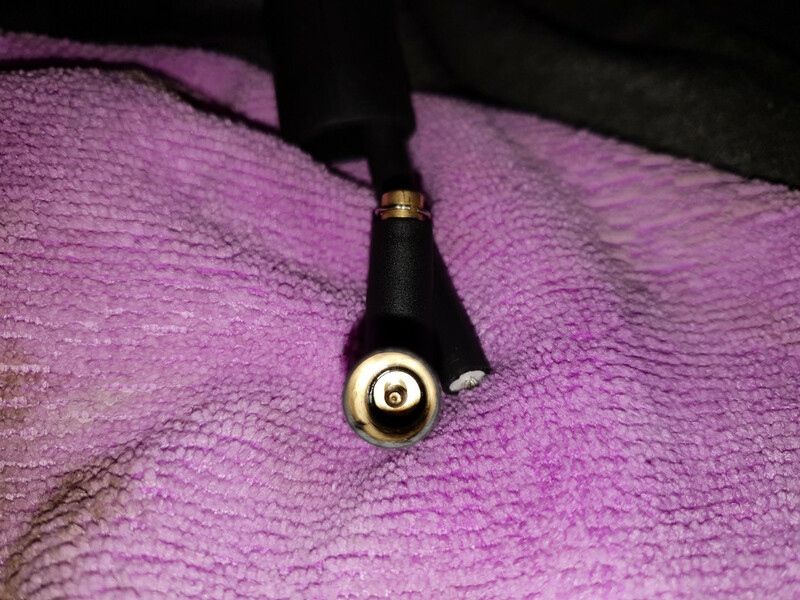 It takes a decent amount of force to unscrew the plug so don't be afraid to use it as you can't really do any damage here. 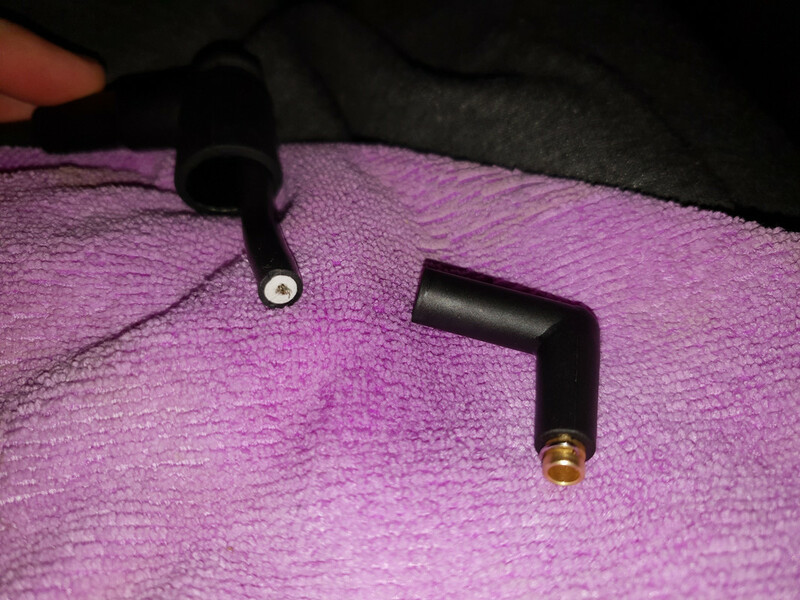 The plug simply unscrews and the woodscrew inside looks like this. 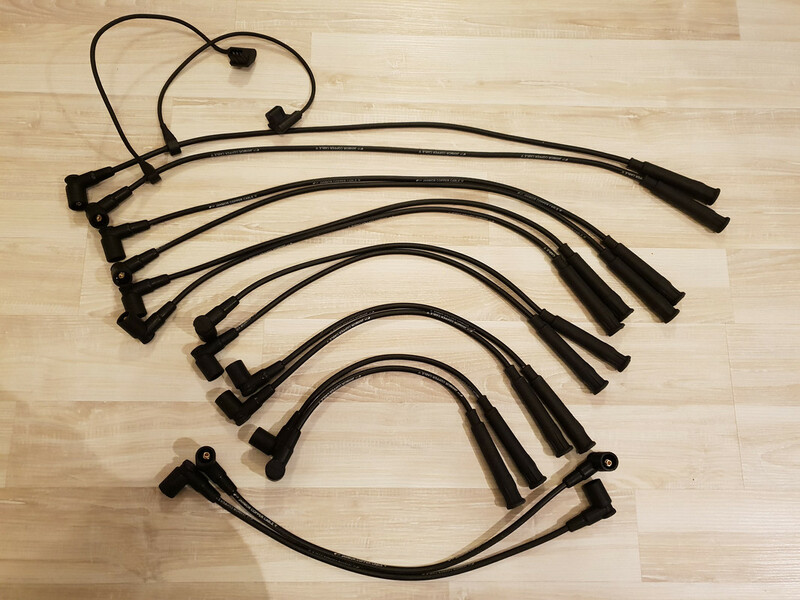 Remove the rubber boot from the wire and it's time to install the cylinder identification sensor. The direction in which the sensor is installed matters. 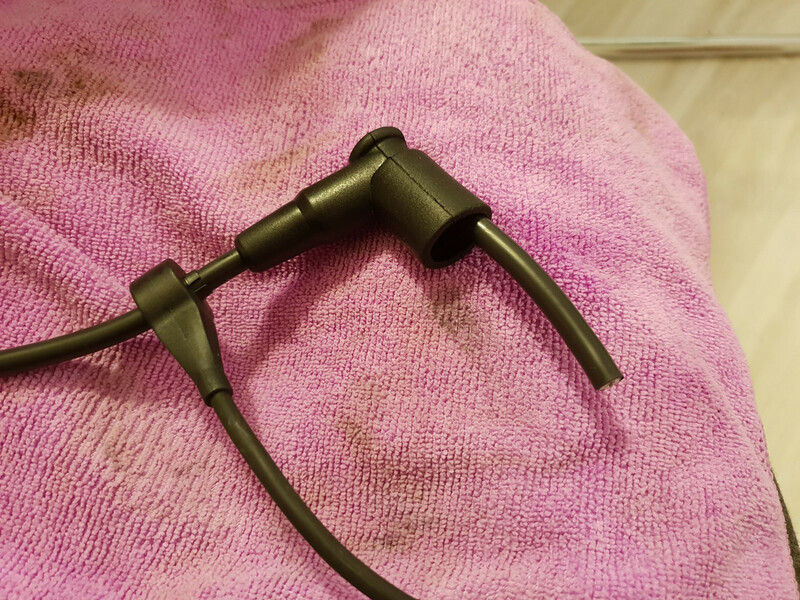 If you are reusing your old sensors, simply install them using your old wires as a reference. 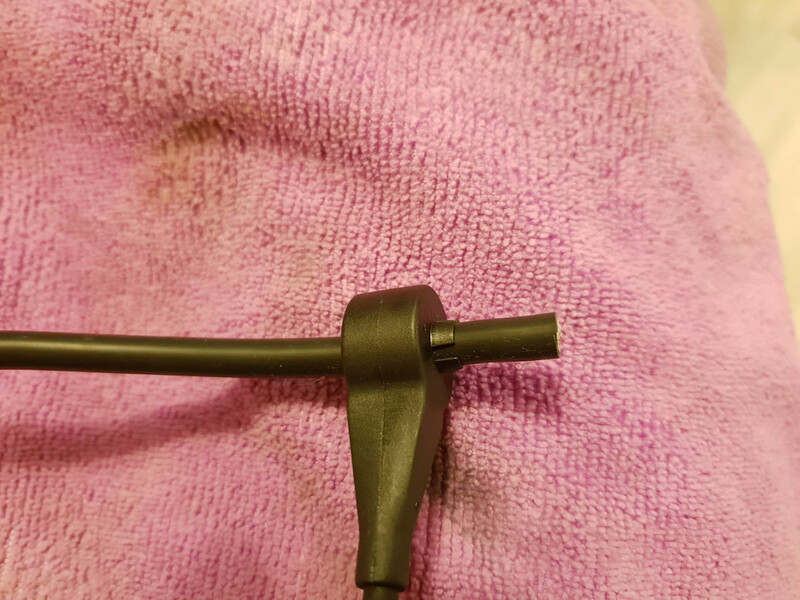 If you are installing new sensors, as I did, the 4 tips/prongs should be pointed in the distributor cap direction like this. Lubricate the rubber boot and slide it back onto the wire. 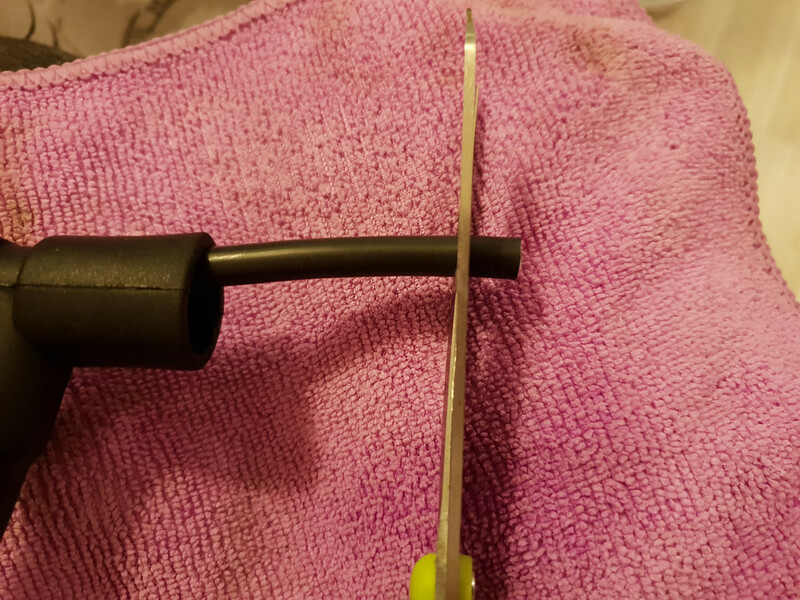 Grab a pair of sharp scissors and cut off 3 mm of the end of the wire thus getting a fresh bit of the wire where the woodscrew will go in. 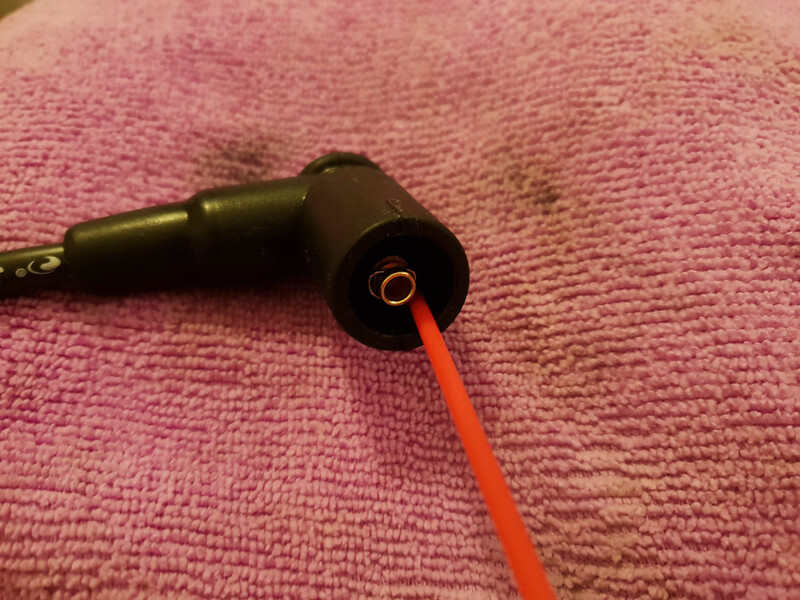 Apply WD-40 on the end of the wire and reinstall the plug by screwing it back into place in the clockwise direction. Slide the rubber boot over the plug, if needed use more WD-40 to help boot slide easier without putting stress on the wire. Now we want to verify that we have a proper connection and installation was successful. 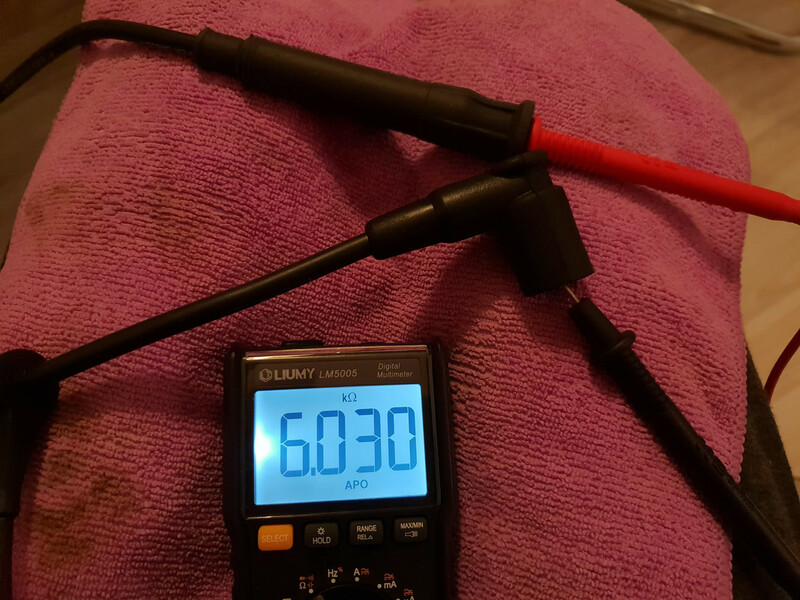 Break out your multimeter and set it to measure resistance (Ω). Stick a test lead at each end of the wire and you should be getting a readout of around 6 kOhm. This goes for all 12 wires, spark plug boot is 5 kOhm and distributor cap boot is 1 kOhm. 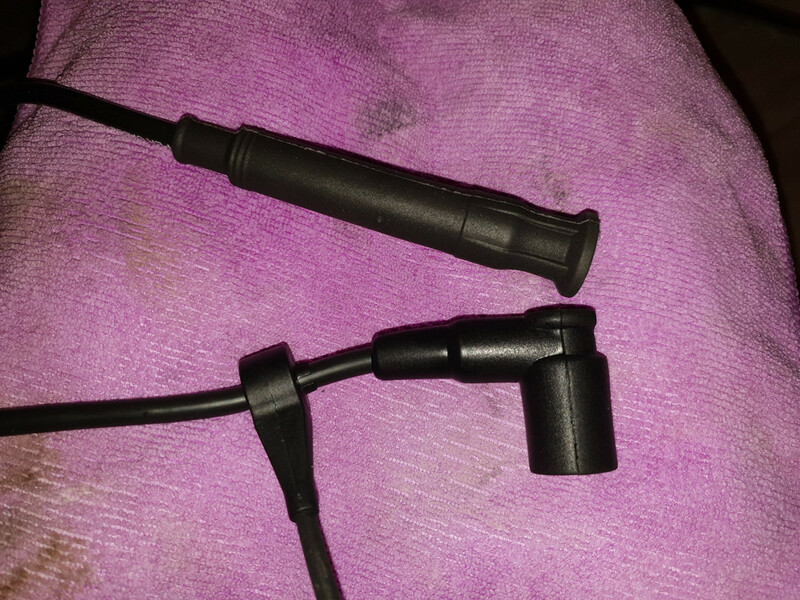 The wire for ignition coil to the distributor cap is 2kOhm. 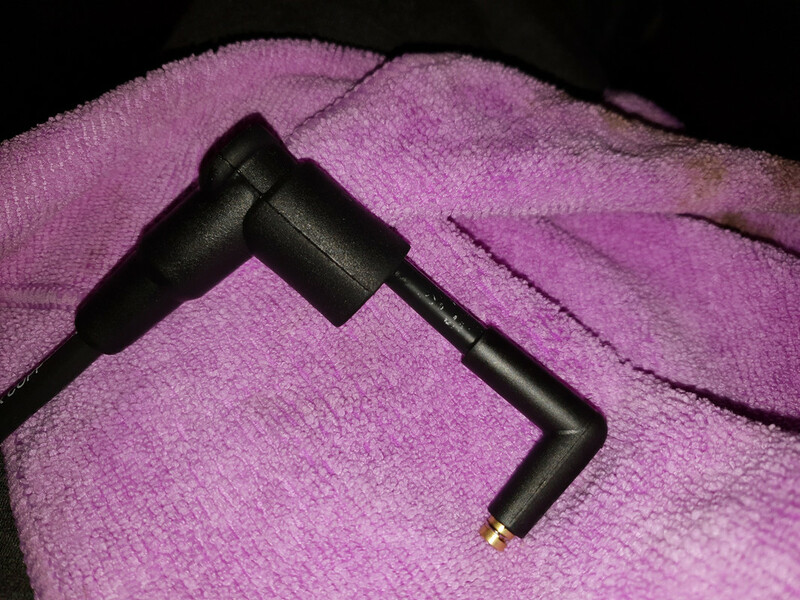 Additionally, you can wiggle and bend the wires slightly to make sure the connection is constant and doesn't drop.